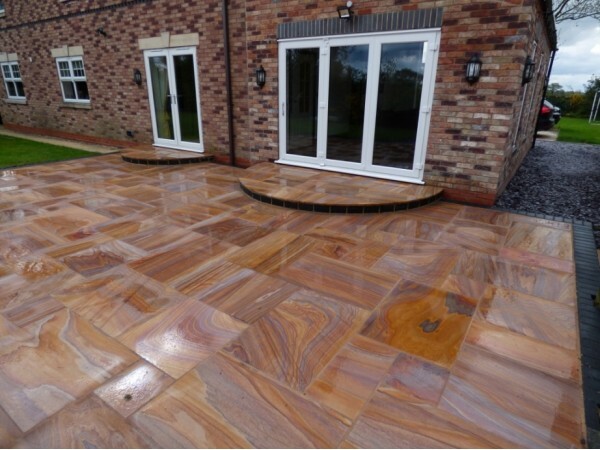 This top of the range Indian Sandstone Paving has been diamond sawn then calibrated and honed to leave a rich, vibrant and beautifully coloured appearance with some surface quartzite that sparkles in the sunshine. 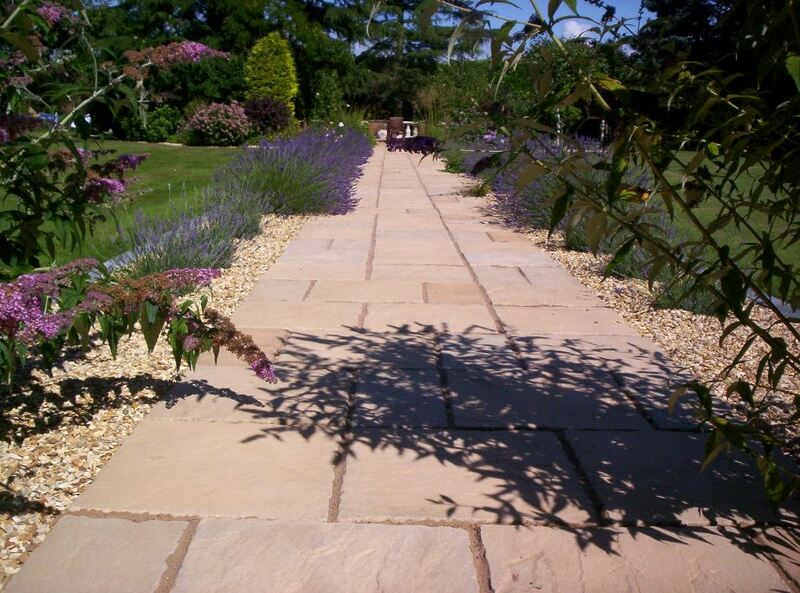 Rainbow is a premium grade paving that brings the warmth and charm of quality natural stone into your garden. 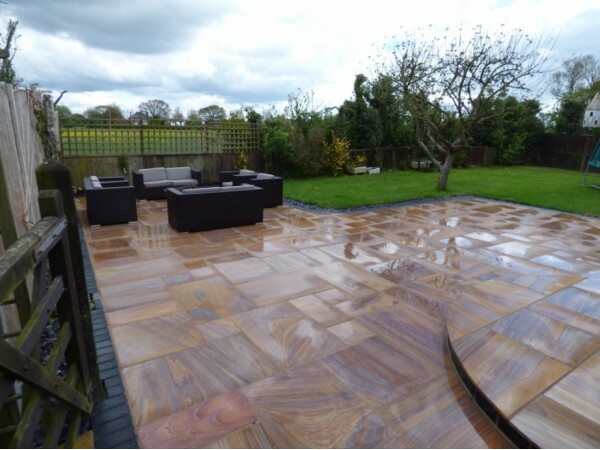 The paving edges are diamond sawn smooth. 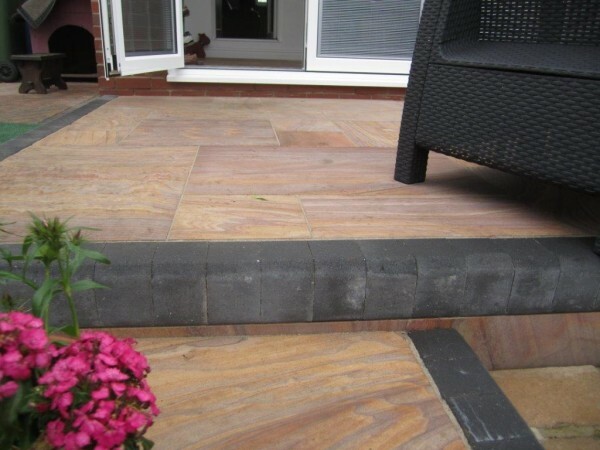 There are also other products to complement this range including the bull nosed step/edge 1000 x 350mm. All on display at our AC showsite. Reduced - 35% Off while stocks last * The lowest price in the UK - Guaranteed. 1. 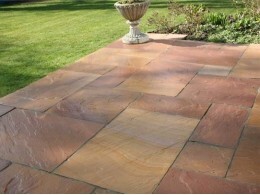 All of our Rainbow pavings are selected from the more vibrant colours. Some suppliers do not do this. 2. 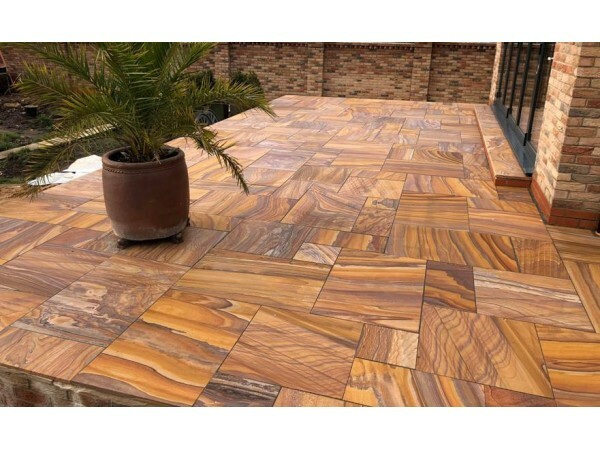 The paving sizes in each pack are 900x600, 600x600, 600x295 and 295x295mm. 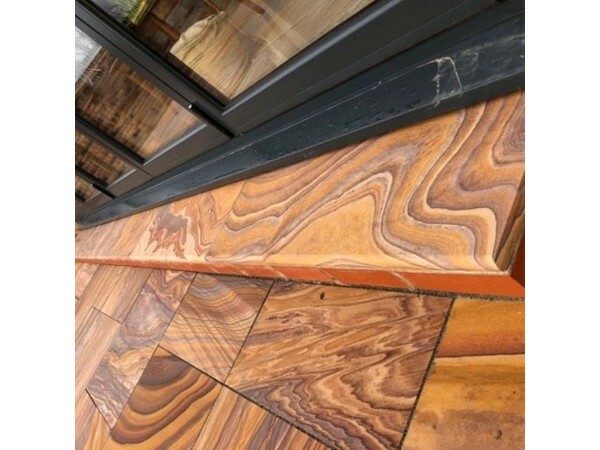 Some suppliers use the size 290mm in the smaller sizes, resulting in large unsightly joints. 3. 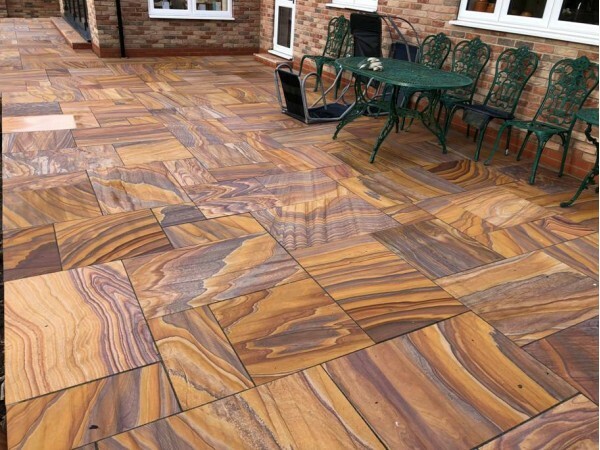 We have 17 of each of the four sizes in every 20 Sqm pack. 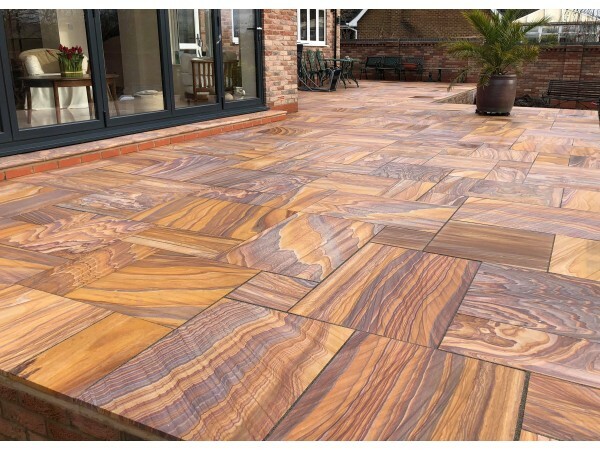 Some suppliers put 16 of the 900x600mm resulting in a shortage of over half a metre per pack. 4. All of our full packs are opened and checked for breakages before dispatch. 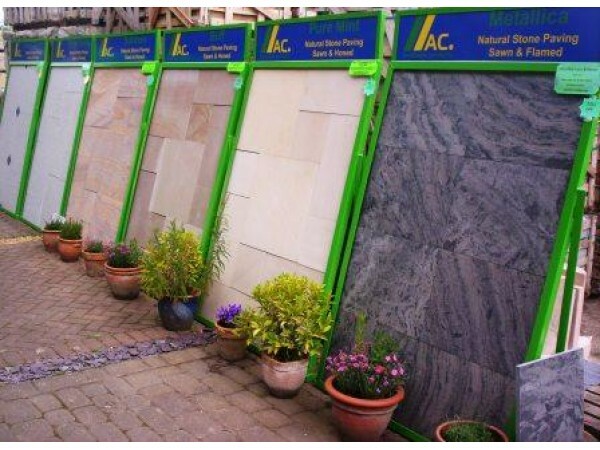 *We do try to get your stone in perfect condition, however, it is a natural product and sometimes 1 or 2 breakages do occur. 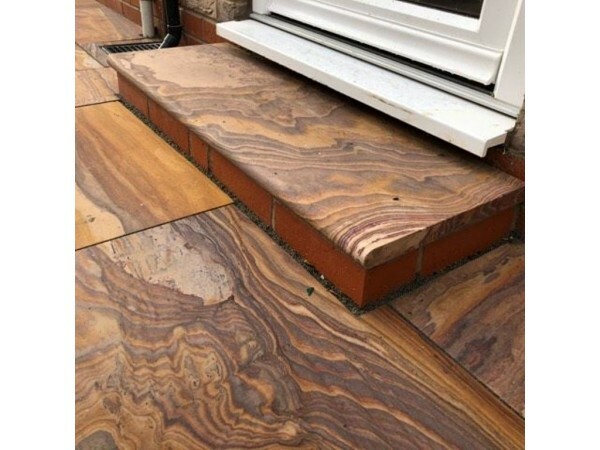 If the breakages are above 5%, then please return within 10 days from delivery and we will replace or refund the broken meterage. 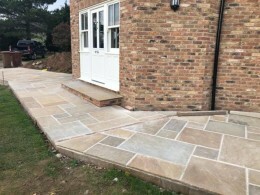 * All of our Indian sandstone paving is sourced from members of the ETI (ethical trading initiative), preventing child labour and unsuitable working practices. Reg number RS91/7465 available on request. 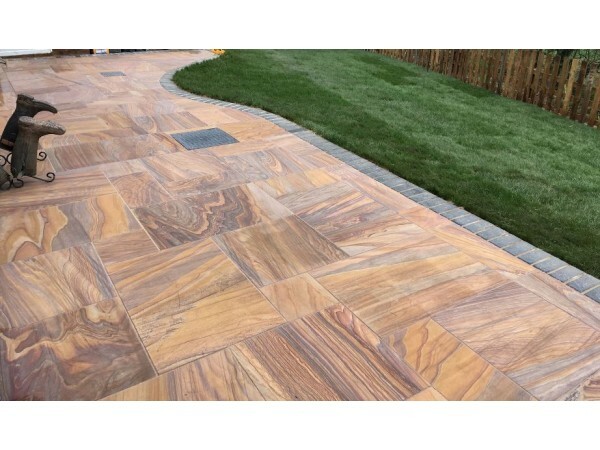 * This paving is designed to have a narrow joint between each stone. 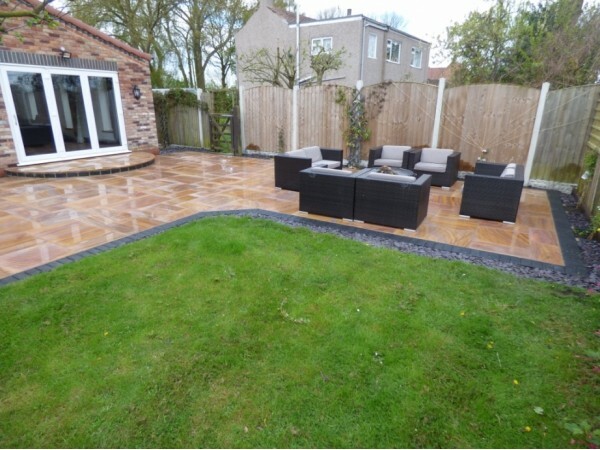 * We recommend the application of a PVA or primer to the underside of this paving before laying and laid on a full bed semi dry mortar mix. 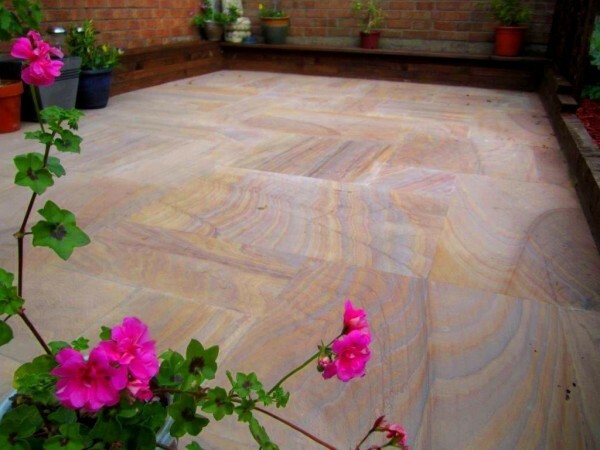 * Rainbow Indian sandstone must always be sealed using a waterproof sealer. Deliveries of one pack or more to most postcodes will still be free, but we may use the tail lift method of delivery. 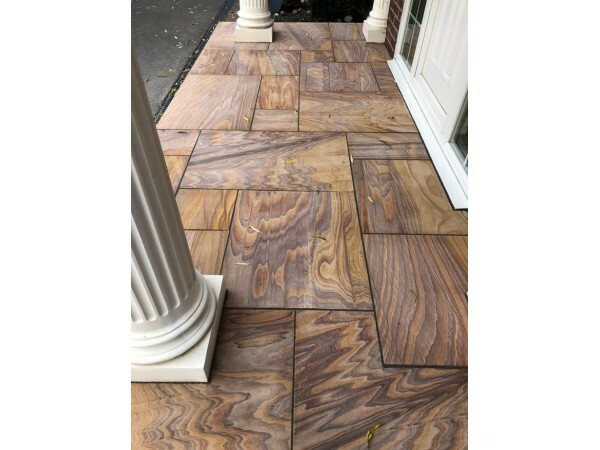 This top of the range Indian Sandstone Paving has been diamond sawn then calibrated and honed to leave a smooth matt warm golden buff coloured appearance with some surface quartzite that sparkles in t..